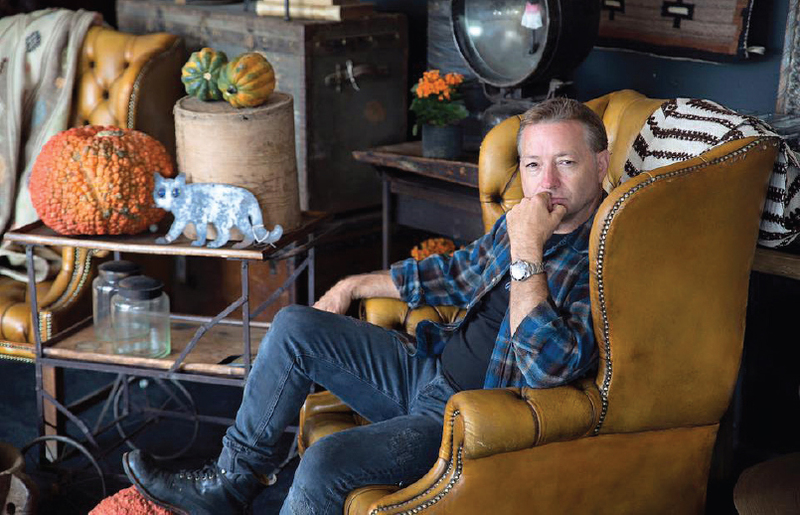 Shane brown is the owner of Big Daddy’s Antiques located in Los Angeles, San Francisco and a smaller boutique, Georgia Brown, in Aspen. He is constantly on buying adventures which take him all over the world and always back to Round Top again. To learn more, visit bdantiques.com. Photo courtesy of Shane Brown. 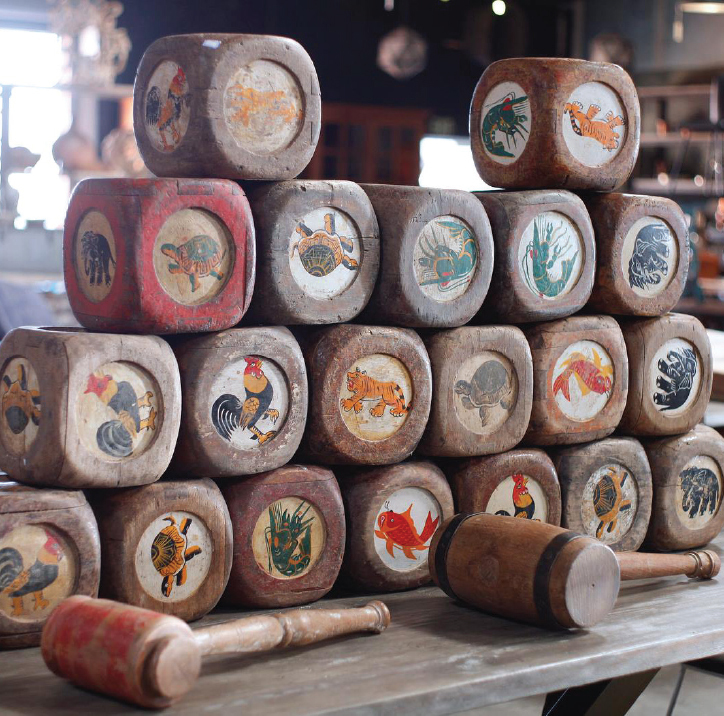 My first trip to Round Top was on the invitation of a fellow antiques dealer, Donna Cedergreen. We drove from Los Angeles to Round Top in a 12-foot rental truck. We pulled in about 10 p.m., to the spring show of 1995. People were still setting up. I remember being so excited to see how people set up their spaces. We jumped out of the truck and immediately started shopping, until what time I have no idea. We stayed at a little house very close to the Square. The town of Round Top is so quaint. We soon met Bud. For those of you who don’t know who Bud is, you need to meet him and his family. I am, of course, talking about Bud “the Pie Man” Royer, founder of Royers Round Top Café. Everyone we met on that first trip was so friendly, interesting, creative and fun. Third-base was fun in 1995. Pie in the Sky was fun. This was before Excess or Excess II, before Marburger, before Junk Gypsy. We shopped for several more days until I was out of money. I thought if I just had a few more thousand dollars that would be perfect – I was hooked! Since Spring 1995, I’ve been to Round Top 45 times, only missing one show, because my daughter, Georgia Brown, was born (I tell her she saved me a lot of money that day). I cannot tell you how many containers I’ve pulled out of Round Top with the most unique items from all over the world. I shop all over the globe, and I have to say Round Top is right up there. The scope of things and the random stuff that I buy from ironstone platters to an airplane to a roller coaster, cars and motorcycles. Some people say I only buy stuff as long as it’s big and heavy. I have seen and experienced so much growth in Warrenton and Round Top in the last 23 years. My wife, Kristine, and I finally bought our first house in Round Top about 10 years ago. We named it the Dragonfly. Then, we got a call from Beulah, the housekeeper, that Joyce Pratt wanted to sell her house, so we flew to Texas and bought our second property, Bo Buff Bradley. Our neighbor, Donna Parker, had a beautiful compound across the street from our original property. We solved all the world’s problems over tea and coffee many mornings at her home, so when she put it up for sale, we couldn’t let it go to anyone else. We believe in Round Top. We’ve invested in it, because we love it so much. My wife runs all of our VRBOs and short-term rentals. My kids have traveled with us extensively, and their favorite place to go is Round Top. To me, this is what Round Top is all about – the uniqueness of this town, its people, the things you’ll find and the memories you’ll make. Come on down. You can stay with us.